Screen Equalizer is a sophisticated screen leveling tool for Adobe After Effects developed on industry proven methods for evening out chroma key defects. Screen Equalizer is a sophisticated screen leveling tool for Adobe After Effects developed on industry proven methods for evening out chroma key defects. 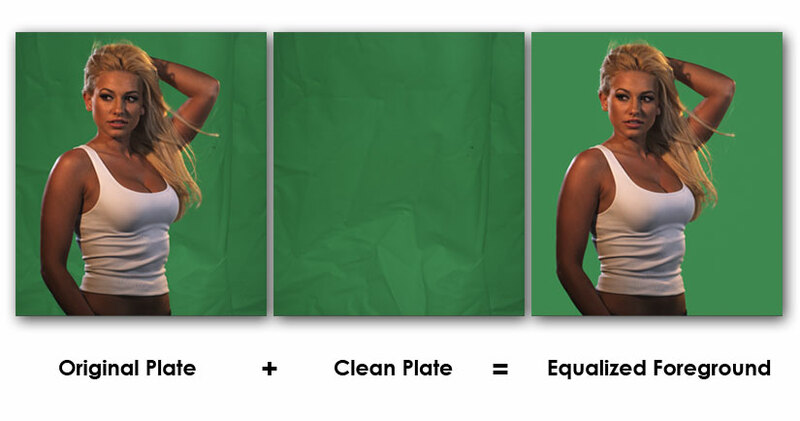 It allows you to leverage a clean plate of your chroma key backdrop to even out wrinkles, defects, or uneven lighting on your greenscreen footage, saving you hours of roto or multipass keying. In some cases you can simply add Equalizer to a shot and then pull a single click key solution with your keyer of choice, allowing you to spend your time perfecting the shot, instead of struggling to pull a good key. The After Effects CC 2015 update is a significant re-architecture that affects how 3rd party plugins interact with it. This means most plugins will require an update to work in this new version. Screen Equalizer for CC 2015 and above has the addition of a “Get Sample Color” button. Click this button after selecting the Clean Plate from the drop down. It will then populate the Sample Color box with the appropriate screen color. An auto clean plate tool, which removes moving objects (Snow, Rain, Crowds,...) out of an image sequence with static camera.